Professor K Venkatagiri Gowda was an incisive thinker par excellence. His Economic analysis on the budget were very much valued by the Economists and Administrator in the Country. His work has been internationally valued as definitive and path breaking in the Area of Monetary Economics, International finance and Planing. He has received Lord Leverhulme special Research Award, London School of Economics, 1935-55, and the Karnataka Rajotsava Award in 1983. The book is collection of 83 articles written by Professor Gowda which provide solutions to myriad of Economic problems of our Country. The book useful for postgraduate and research students, academic planners and policy makers and statesmen. 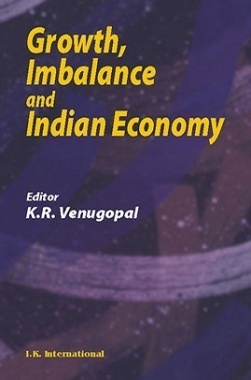 1.Comprises a bouquet of 83 articles highlighting the economic problems afflicting India and recommending solutions. 2.The articles deal with topics like fiscal structure, industry policy, bank restructuring, exchange rate of rupee, etc. Both fiscal and monetary policies have been discussed. 3.The early liberalization, privatization and globalization years have been kept as the setting for the discussions. 6. Are Subsidies the Cause of Fiscal Deficit and Inflation? 8. Is India getting into the Debt Trap? 38. Whither the National Renewal Fund? 61. Will the Rate of Inflation Decline?